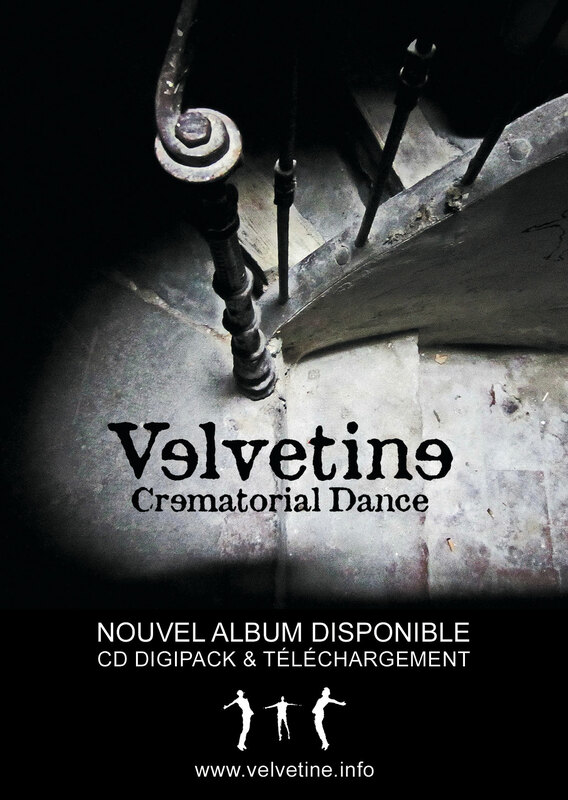 Second album of Velvetine “Crematorial Dance” out now on digipack CD, in co-production with Fréquence de Coupure. 10 songs sung in french / english, and musically oriented in ethnical, pop & industrial dark electro-rock. After a first album, several EP, clip and residences, the band released their second album on March 17th 2016. Through its research, the Velvetine‘s universe was enriched constructions and sound structures that reinforce the originality of this unusual and creative training. It offers a unique blend onstage written and improvised interludes that take the audience into a world sometimes dark and melancholic but also hopeful. The complicity of Velvetine musicians guide the public in calm atmosphere and tense and powerful. On stage, this formation still haunting longer intersects further raw guitars and the finest sounds, lights and digital videos, vintage amps & avant garde technology. Digipack CD 3 panels + 12 pages booklet.